Showcasing exceptional series by the best artists working worldwide in photography, the World Photography Organisation today reveals the shortlisted photographers for the Professional and Student competitions of the 2019 Sony World Photography Awards. Within the shortlist are seven British photographers who are behind some of the world’s best bodies of work published in 2018. 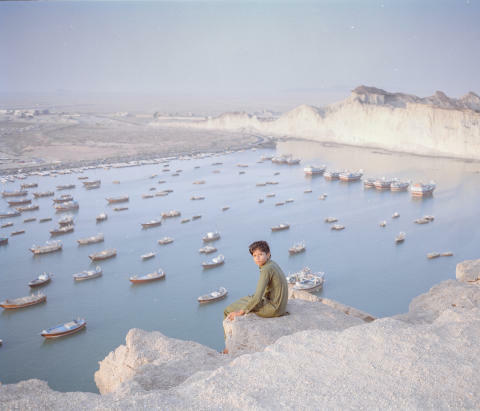 All shortlisted series will be exhibited as part of the 2019 Sony World Photography Awards Exhibition at Somerset House, London, from April 18 until May 6, 2019. Being shortlisted is significant as the Awards offer photographers an unparalleled opportunity to showcase their art to a global audience and present a vibrant and diverse insight into photography today. All shortlisted Professional photographers will now compete to win their category and be named Photographer of the Year, revealed April 17. The Professional shortlist comprises stunning series selected across ten diverse categories. 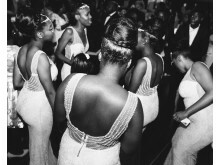 The six shortlisted British photographers are recognised in three categories. 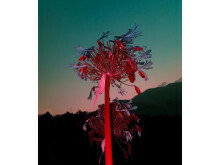 British photographers have excelled in the Landscape category, with four photographers featuring on the shortlist. 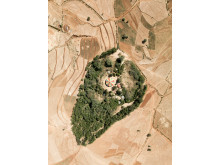 Edinburgh-based artist Kieran Dodds has been shortlisted for his series Hierotopia, which explores the tiny patches of protected forests surrounding churches in Ethiopia, where farming has led to huge deforestation. 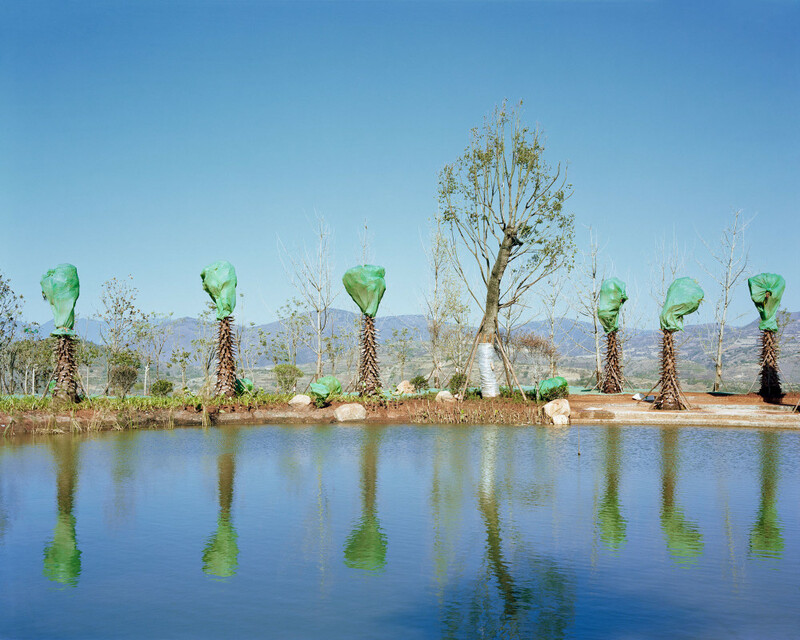 West-Yorkshire based academic and artist Yang Wang Preston has been shortlisted for her series To the South of the Colourful Clouds which depicts an otherworldly “ecology recovery” landscape in Haidong Development Zone, Yunnan Province. 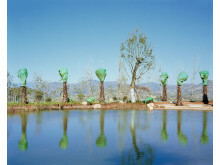 In this series, Preston studies the environmental impact of turning a rural area into an international leisure town and its dramatic effect on the landscape. 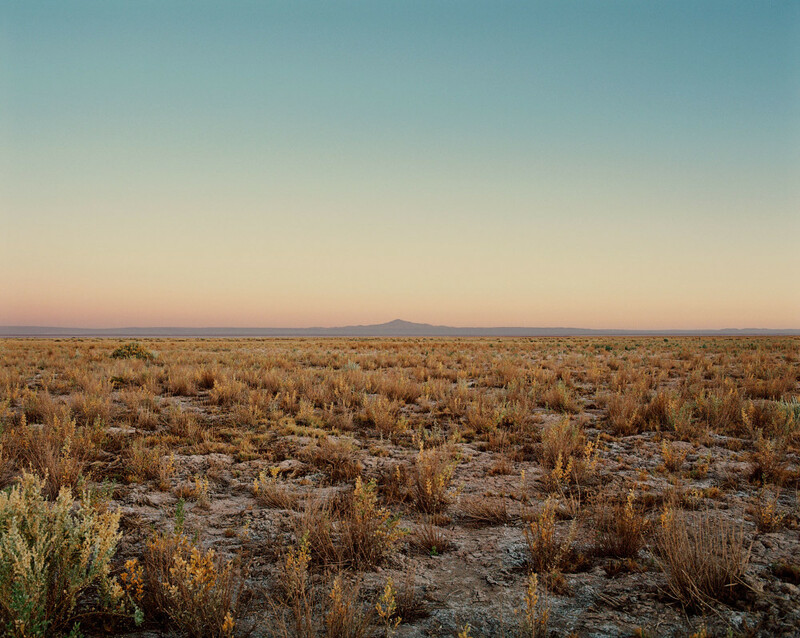 Two London-based photographers have also been shortlisted in the Landscape category; Catherine Hyland has been awarded for her series Lithium Mining , in which she uses a muted colour palette to provide a meditative series of landscapes affected by industry. Marco Kesseler ’s series Polytunnel focuses on the environment of contemporary British farming, highlighting the hidden landscapes behind which food is produced. In the Brief category, Ramsgate-based artist Edward Thompson depicts the quirks of British life and culture in his series In The Garden of England. 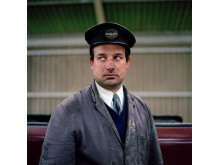 Thompson captured the South East of England over 18 years and describes the series as depicting “nostalgia, class and the beautiful uncanny of everyday English life” . 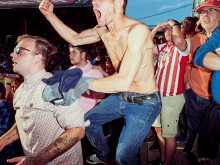 Other shortlisted Professional series on British subject matter include Danish photographer Thomas Nielsen’s series The Big Score , which focuses on fans of the West London football club Brentford FC and has been shortlisted in the Sport category. French photographer Laetitia Vançon’s series At the End of the Day has been shortlisted in the Portraiture category and offers a striking insight into island life in the Outer Hebrides for contemporary young people. German photographer Toby Binder’s series, Youth of Belfast, documents daily life and the problems facing the young people in the city’s working-class communities. Binder was also shortlisted in the 2017 Sony World Photography Awards and has spent the last decade photographing British teenagers. Specially selected by a panel of the world’s leading judges from academia, museums, publishing, festivals and the media, the Professional shortlist contains exceptional bodies of work which demonstrate artistic prowess and provide audiences with captivating stories about humanity and the contemporary world. This year’s Professional competition judging was chaired by Mike Trow (Editor, Photographer and Consultant, UK). 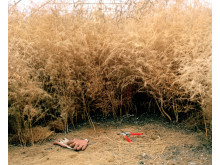 Speaking of this year’s shortlist, he comments: "The work in this year’s Professional shortlist provoked a lot of debate and interest amongst the jury, with interesting conceptual work and juxtapositioning of images to make new narratives, seen alongside more traditional storytelling. It is in some ways a more challenging and contentious year than ever before - which is a great thing, and important for pushing the boundaries of photography and to challenge the perceptions and expectations of the audience." The Student shortlist features bodies of work by ten students at leading higher education institutions from across the world. 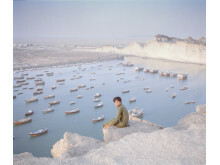 Shortlisted photographers come from a range of countries including Bangladesh, Malaysia, Spain, Argentina and Canada. Students were first challenged to produce a series of 3-5 images responding to the brief, “Evolution”. 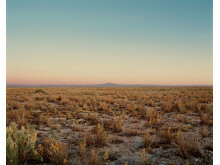 From this, ten students were shortlisted and received Sony cameras with which they have created a second series of work inspired by the brief “Belong”. Joel Davies, a 22 year-old student at Central Saint Martins College of Art, University of the Arts London, was shortlisted for the series Ageing Love. Davies has since created his second series titled Adieu - an emotionally charged series that depicts the student’s French girlfriend preparing for life beyond Brexit, and her uncertainty at what is to come beyond university. All those shortlisted will go on to compete against talented photographers from across the world in their categories for the chance to become Professional Photographer of the Year and Student Photographer of the Year . Winners will be announced at the London Awards ceremony on 17 April. 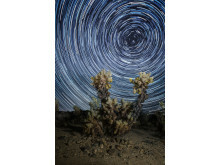 Prizes include $25000 (USD) for the overall Professional winner, and €30000 (Euros) worth of Sony photography equipment for the overall Student winner’s institution, as well as the latest cutting-edge Sony camera equipment and flights to the London Awards ceremony. 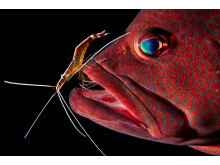 The winning images will also be included in the 2019 Awards' book. All shortlisted and winning images will be exhibited as part of the 2019 Sony World Photography Awards Exhibition in London from April 18 until May 6, 2019 before touring globally to countries including Japan, Italy and Germany. Produced by the World Photography Organisation, the internationally acclaimed Sony World Photography Awards are one of the most important fixtures on the global photographic calendar. As one of the world’s largest and most prestigious global photography competitions, the Awards annually celebrate and promote the best contemporary photography from the past year across a wide variety of photographic genres. Now in their 12th year of partnership with headline sponsor Sony, the Awards consist of four competitions in total: Professional (for a body of works), Open (for a single image), Student (for academic institutions) and Youth (for 12 19-year olds) . A total of 326,997 entries across - from 195 countries and territories were submitted across the four competitions of the 2019 Awards, the highest ever number of entries to date.